your web sight says that basic ones are only $5.00 which is cheep over here, however in somewhere like Africa is it more expensive because the cannot order it online, solar cookers are much more valuable and precious over there and because the people that need a solar cooker would most likely be poor. 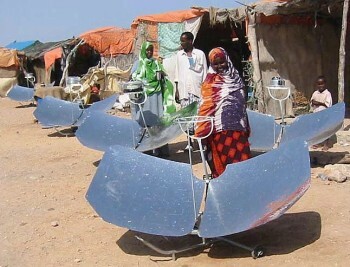 i was wondering if this is true and what is the average price for a solar cooker in a third world country? Yes, you are right, even a simple homemade solar cooker for $5.00 is a lot of money for someone in a third world country. 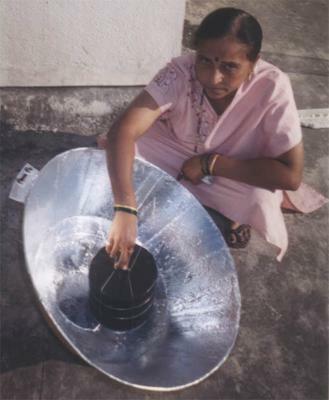 Usually the people in those third world countries can replicate or make their own simple solar cookers with similar materials, or even the same materials but at a lower cost because of where they live, but even then there are many who can still not afford to do it. Some of these people have been able to make some amazing solar cookers just by using scrap and leftover materials they find as discarded as junk. 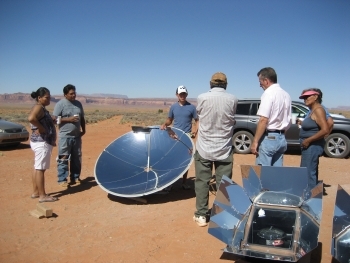 Luckily there are many NGO and Non Profit organizations that are working in those countries already who have been able to find means and materials at more affordable rates to help fabricate homemade solar cookers for the poorest people. And, some of them have even helped to purchase more expensive manufactured solar cookers from the US and Europe to distribute to the poor and needy. We have been able to contribute to some of these organizations and their work in other countries as well as work among the Navajo Indians here in the United States. I added above a couple of photos, examples of what I was describing, to this post. Thank you for sharing your ideas with us and for your interest in solar cookers in third world countries.